Parasites, bacteria, and viruses have been the scourge of humanity as long as we have been here, but disease has reshaped our history and influenced our evolution. Parasites helped give our immune systems the boost it needed to get up and running, and the humble bacterium has helped dictate the form this planet has taken. Sometimes, it seems that we humans are simply playthings in their hands, but they haven’t just been capricious forces that toss us around like rag dolls. 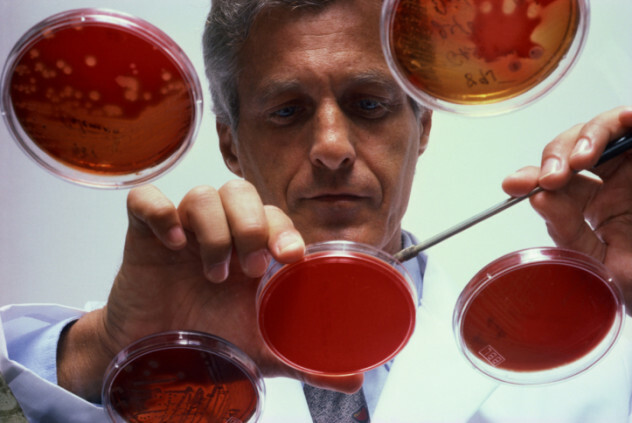 These microorganisms have also done incredible things to help humanity. Thanks to the science of viral molecular genetics, we now know quite a bit about the bugs that infected us along our evolutionary path, and we have found that these hitchhikers have done quite a bit to help us along the way. For example, it was the evolutionary pressure they placed upon our immune system that made it as robust as it is today. Additionally, viruses may have played a role in the loss of specific receptors that we once possessed on the surface of our cells that infectious agents could latch onto and use to cause disease. By ridding the human body of this source of disease, viruses created a safer environment for themselves, benefiting everybody involved. But they may have also played a role in ensuring that, among competing hominid species, it was Homo sapiens that came out on top. While our species was developing, disease and parasites encouraged genetic diversity and weeded out the unfit. Once the first Homo sapiens left the continent, they brought their infectious agencies and parasites with them. If you’ve read about North American and European smallpox, you know how this goes. While it wouldn’t have been the only factor, viral parasites would spread to other hominids like Homo neanderthalensis (Neanderthals), who wouldn’t have had any previous exposure to the new bugs and possessed a nasal structure that was less efficient at filtering air and keeping new viruses at bay. They would have devastated other hominid species, because the bugs were primed to live in similar environments, but the hominids were not primed to receive them. Models have shown that if Neanderthals had a mortality rate only 2 percent higher than humans, it would have been sufficient to cause their extinction after 1,000 years of competition. While disease was doubtless not the only factor, it would have certainly played a large role. 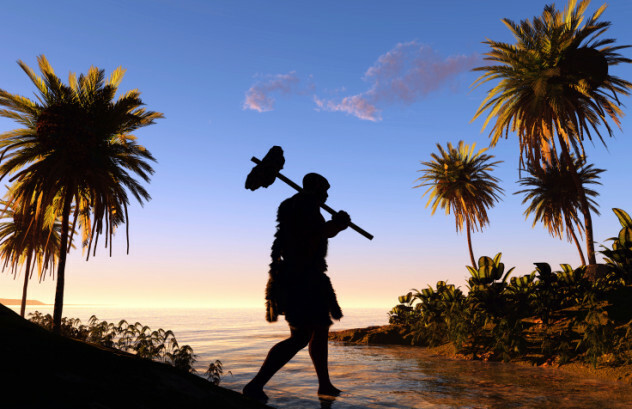 Most models of human disease evolution claim that they mainly evolved during the Neolithic era, after man moved out of Africa and populations increased, so there is some evidence of this selective viral pressure. Many of these early viruses have even been so successful that their genes have literally become a part of our DNA. For example, the human genome has been found to contain genes from the borna virus that were gained about 40 million years ago. In fact, scientists have isolated about 100,000 elements of human DNA that have come from viruses, mostly within what is called our “junk DNA.” The viruses that make up the majority of our junk DNA are called endogenous retroviruses, and they are so much a part of us that a scientist recently brought one “back to life” and even infected hamsters and cats with it. For thousands of years, the European leech (Hirudo medicinalis) was used in medicine for bloodletting purposes, treating a wide range of disorders from hemorrhoids to ear infections. The practice goes so far back in time that an Egyptian painting from 1500 B.C. depicts their use. While some nations have never stopped using them, the practice fell out of favor in the Western world with the knowledge of bacteria and subsequent focus on the germ theory for medical treatment. In the 1970s and 1980s, though, leeches made a comeback. Cosmetic and reconstructive surgeons found that they were an effective method for draining blood from swollen faces, black eyes, limbs, and digits. They are also helpful for reattaching small body parts like ears and flaps of skin, because they draw away blood that could clot and interrupt the healing process. 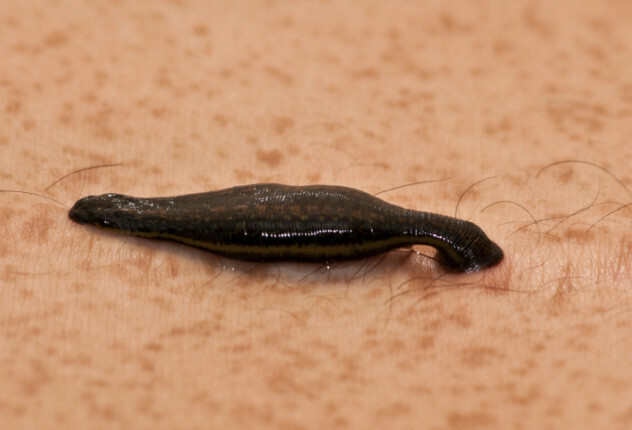 Leeches have saved people from amputations and may even relieve the pain of osteoarthritis. Even veterinarians sometimes use them. Maggots, on the other hand, are nature’s clean-up crew. They’re great for eating away dead or infected flesh, revealing the healthy tissue below in a process called debridement. They have also been found to be an effective treatment for ulcers, gangrene, skin cancer, and burns, among other things. Maggots and leeches, as gross as they may be, are so effective that the FDA classified them as the first “live medical items” in 2010, paving the way for an entire industry called biotherapy. An organization called Biotherapeutics Education and Research Foundation (BTERF) has even sprung up to raise awareness of the new uses for these old critters, and there are several companies that sell them. Researchers studying the effects of gastrointestinal parasites have come up with an astonishing theory: After parasites first colonized our gastrointestinal systems, they evolved over millions of years the ability to suppress our immune systems. At the same time, our own bodies evolved to partially compensate for the effect. The astonishing part, and what this means for human health, is that once parasites and harmless microorganisms present in water and soil have been largely removed from their natural environment inside of us in developed nations through the use of modern medicine, our immune systems actually overcompensate for their loss, leading to allergies and even increased chances for asthma and eczema. 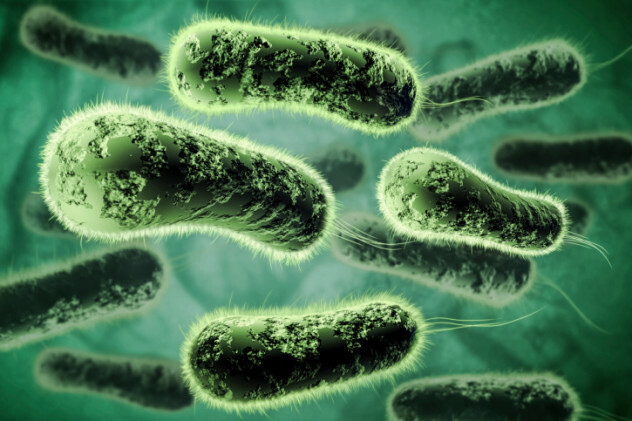 This “old friends” hypothesis (sometimes referred to as the “hygiene hypothesis,” though it’s actually more of a complementary theory) has gained more support in recent years as we identify new ways microorganisms have helped us survive over the eons. Clinical trials have been conducted using worms to test against multiple sclerosis, IBD, and allergies. The main proponent of the old friends hypothesis is Graham A.W. Rook of University College London. He first proposed it in 2003, and since then, it has also been proposed as a possible cause of some forms of stress and depression. Some people have taken the old friends hypothesis to its ultimate logical conclusion that if removing our parasites from society has led to health problems, we should put them back. In 2008, University of Wisconsin professor of neurology John Fleming conducted a clinical study in which he infected multiple sclerosis patients with parasitic worms to test their effectiveness against the disease. Over a period of three months, patients who had an average of 6.6 active lesions around their brain’s nerve cells were reduced to an average of two. When the trial was over, the number of lesions shot back up to 5.8 within two months. In earlier trials, the parasites appeared to have positive effects upon ulcerative colitis and Crohn’s disease as well. Parasite therapy is still in the experimental phases, however, and probably has negative effects that outweigh the positive ones. As of now, the FDA has classified the worms as biological products that cannot be sold until proven safe. Only one species, Trichuris suis, has been approved for testing under Investigational New Drug (IND) status. One of the most exciting and promising branches of medicine in recent decades is virotherapy, a biotechnology technique to reprogram viruses to treat disease. In 2005, researchers at UCLA announced that they had turned one of humanity’s deadliest enemies into a cancer-killer when they reprogrammed a modified strain of HIV to hunt down and destroy cancer cells. Around the same time, researchers at the Mayo Clinic in Rochester, Minnesota modified the measles virus to do the same. The technique is similar to the one used to breed genetically engineered plants, in that a virus is used as a gene-delivery vehicle. It has long been recognized as the most efficient means of gene transfer. This system is used for the production of useful proteins in gene therapy and has great potential for the treatment of immunological disorders such as hepatitis and HIV. 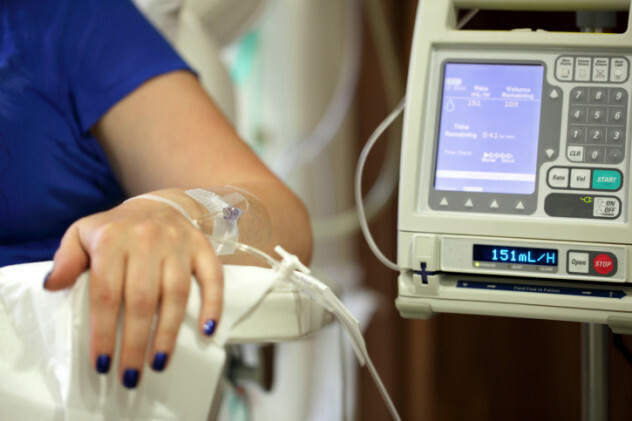 Viruses have been known to have the potential to treat cancer since the 1950s, but the advent of chemotherapy slowed its progress. Today, virotherapy is proving to be extremely effective against tumors without harming the healthy cells around it. 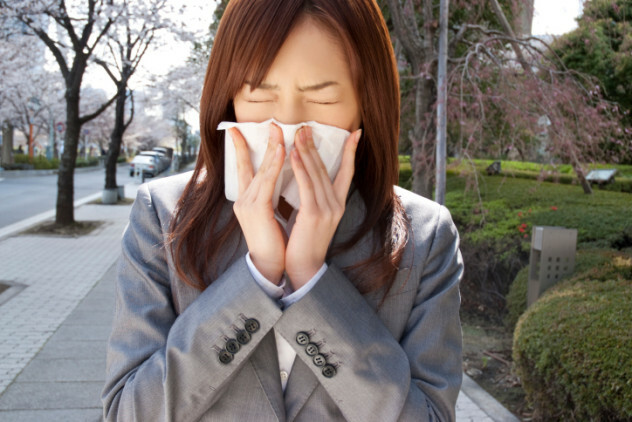 Clinical trials of oncolytic virotheraphy have shown low toxicity and promising signs of efficacy. In 2013, a drug called talimogene laherparepvec (TVEC) became the first drug based on a tumor-killing virus to succeed in late-stage testing. One of the biggest challenges facing researchers is how to deliver the virus where it will do the most good before the body recognizes it as an intruder and mounts a defense. Current research is looking into finding natural tumor-targeting “carriers,” cells that can deliver the virus without either the cell or the virus losing its normal biological functions. Bacteriophages are viruses that specifically attack bacteria. First recognized by Frederick Twort in 1915 and Felix d’Herelle two years later, they have been used to study many aspects of viruses since the 1930s. They are especially common in soil, where many species of bacteria make their home. Because phages disrupt the metabolism of bacteria and destroy them, it has been long recognized that they could play a role in treating a wide range of bacterial diseases. Because of the innovation of antiobiotics, though, phage therapy was mostly shelved until the rise of antibiotic-resistant bacteria generated a renewed interest in the field. An individual phage species is generally only effective against a small range of bacteria or even one specific species (its primary host species), which was originally seen as a disadvantage. As we have learned more about the beneficial aspects of our natural flora, though, it has come to be recognized as the advantage that it is. Unlike antibiotics, which tend to kill bacteria indiscriminately, bacteriophages can attack the disease-causing organisms without harming any other bacteria living inside us. While bacteria can develop resistance to both antibiotics and phages, it only takes a few weeks rather than a few years to develop new strains of phages. Phages can also have an easier time penetrating the body and locating their target, and once the target bacterium is destroyed, they stop reproducing and soon die out. Beginning in the 1790s, when Edward Jenner developed the world’s first vaccine against smallpox using a less virulent strain called cowpox to inoculate patients, vaccines have saved countless millions of lives. 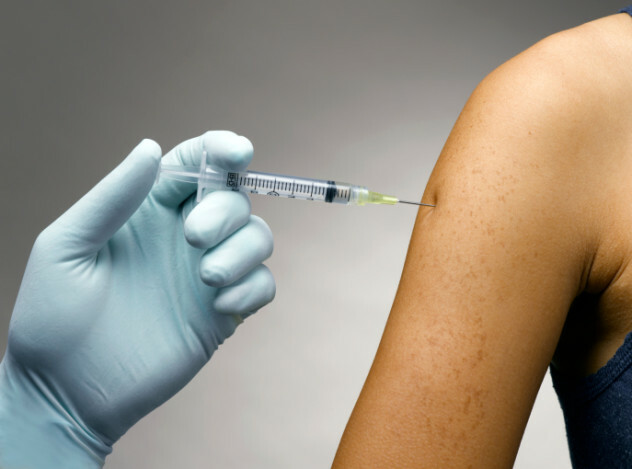 Since then, several different types of vaccines have been developed. Attenuated or “live” vaccines use live viruses that have been weakened or altered so that they do not cause illness, while inactivated or “killed” vaccines contain dead microorganisms or toxins that are usually used against bacterial infections. Some vaccines—including subunit and conjugate vaccines, as well as recombinant and genetically engineered vaccines—only use a segment of the infectious agent. When a vaccine is injected, the pathogen goes to work, but there is not enough of it to replicate at the rate it needs to in order to take hold. The body mounts an immune response, killing the pathogen or breaking down the toxin responsible for disease. The body’s immune system now knows how to fight the disease and will “remember” if it comes across it again. In other words, scientists have figured out how to get a pathogen to help its own target defend itself against it. They have even taken the first steps toward developing vaccines for several forms of cancer, with three vaccines approved by the FDA for the hepatitis B virus (which causes liver cancer), human papillomavirus types 16 and 18 (which cause cervical cancers), and metastatic prostate cancer in some men. Thanks to vaccines, several diseases have been driven to virtual extinction. Smallpox is the most famous example, but polio, though not totally eradicated, comes in at a close second. Several other diseases might be gone by now if vaccines weren’t so hard to come by in the underdeveloped nations that still struggle with them. Things are getting worse instead of better, with diseases coming in from an unexpected source: affluent, educated Westerners who should know better. Unfortunately, the anti-vaccination movement is making a comeback in regions where these diseases were once under control. Before the introduction of the measles vaccine in 1963, approximately 500,000 people per year were infected in the US, 500 of whom—mostly children—ended up dead. By 1983, there were only 1,497 cases reported, and after a brief resurgence in the ’80s and ’90s, reported cases were down to just 37 in 2004. After the anti-vaccination movement began gaining traction, 118 cases were reported in the US alone in 2011. That number keeps growing, fed by travelers coming in from areas with higher rates and finding less resistance. Whooping cough, once thought to be gone forever in the US, is also on the rise. Some of the smallest and simplest of creatures on Earth play some of the most important roles in safeguarding all of life. Bacteria have perhaps the most important role of all: breaking down and recycling waste. The dead remains of animals and plants, along with the excrement of all organisms, contain vital nutrients and stored energy. Without a way to reclaim these nutrients, though, the available sources would be quickly depleted. Luckily, many bacterial species feed upon these energy sources, breaking them down to their smallest molecules and returning them to the soil, where they reenter the food chain. As helpful as this process already is, humans have found many ways to exploit it for a variety of even more advantages. Bacteria are used in sewage treatment, industrial waste management, and the clean-up of oil spills, leaked pharmaceuticals, and wastewater. They have also been useful in the development of aqua-farming, algae control, and waterless toilets. Researchers and engineers are currently looking into their potential use in the production of environmentally friendly bioplastics, glues, and building materials. They may even be used to break down plastic waste. Poorly understood until recently (and there is still quite a bit of research to be done), the natural bacteria that lives in our guts works with our immune system to drive out pathogens, produce vitamin K, stimulate peristalsis, and perhaps most importantly, digest our food. Without our gut bacteria, we wouldn’t be able to perform any of these functions, and we would quickly die. In a huge breakthrough in the study of our gut bacteria and what they do, a team of Chinese and Danish researchers have recently developed a new way to identify these microorganisms using DNA sequence data. They identified over 500 species of benign bacteria and 800 new species of viruses that could live off them, providing hope for new ways to treat diseases associated with them, such as diabetes, obesity, and asthma. The moment you emerged from your mother’s womb, you were set upon. They ambushed you in mere moments and colonized every inch of your skin, and they have been with you ever since. They are prokaryotes and other bacteria, and without the evolutionary partnership humans forged with them millions of years ago, you would have been dead soon after being born. One of the most common skin bacteria is Staphlococcus epidermis, a bug that we now know plays a role in fighting off Leishmania major, the cause of a nasty disease called leishmaniasis that results in skin boils and open sores that don’t heal. The good bug triggers an immune response called IL-1 that the body can’t produce on its own, making Staphlococcus a necessary part of the human body, as vital to our existence as any organ. 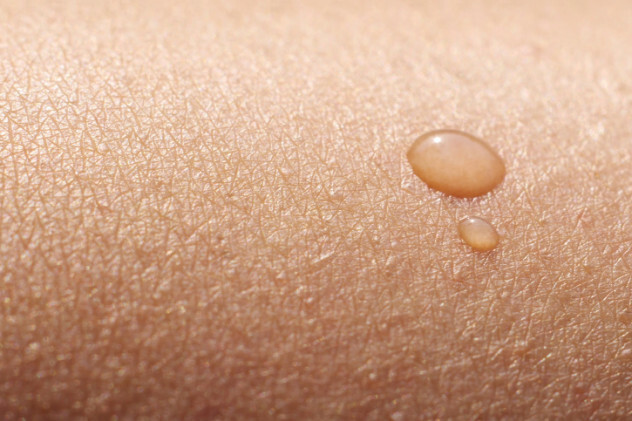 Prokaryotes, which also colonize the digestive tract, cover every exterior surface on the skin. Along with the rest of our beneficial skin microbiota, they became a part of us when they started competing against less-benevolent microorganisms for real estate. Along with the immune cells in our skin, they protect us against both pathogenic bacteria and opportunistic fungi that try to invade. This allows our bodies to spend less energy defending our exteriors and focus more on things like fighting viruses and precancerous cells. While there is still much to learn before we can really use this knowledge in our health regimens, we are already looking to a future that involves the purposeful use of skin bacteria. A start-up based in Massachusetts called AOBiome, for example, has created a body spray made of live cultured chemoautotrophic bacteria called Nitrosomonas. They claim that their spray can “replenish healthy skin bacteria” and even replace showering, as the bacteria live off the ammonia in our sweat. Cyanobacteria, or blue-green algae, are possibly the oldest still-living species on Earth, with fossils dating back 3.5 billion years. They are unicellular bacteria that grow in colonies, and if it weren’t for them, you wouldn’t be here, and neither would nearly every other form of life. 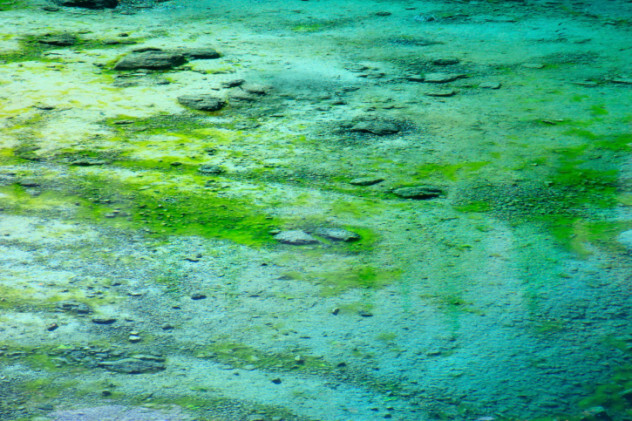 Cyanobacteria were the world’s first photosynthesizers. They used energy from the sun along with chemicals in primordial oceans and inert nitrogen in the atmosphere to make their food. As a waste product, they generated oxygen, a poison to virtually every other form of life at that time and the cause of early mass extinction events. Over a period of roughly 300 million years, all this oxygen generation helped form the atmosphere as we know it, during the Archaean and Proterozoic eras. That wasn’t the only way this bacteria kick-started life as we know it. Sometime during the Proterozoic or early Cambrian era, they formed a symbiotic relationship with certain eukaryote cells, making food for the cell in return for a stable environment to call home. These were the first plants, as well as the origin of eukaryotic mitochondria, which is essential for animal life. This truly titanic event is now known as endosymbiosis. While several forms of cyanobacteria are toxic, a species named Spirulina was an important food source for the Aztecs and eaten regularly by many Asian nations. Today, it is often sold in powder or tablet form as a health food supplement. Lance LeClaire is a freelance artist and writer. He writes on subjects ranging from science and skepticism to religious history and issues to unexplained mysteries and historical oddities, among other subjects. You can look him up on Facebook or keep an eye for his articles on Listverse.